Wessling (Germany), in October 2014 – CAM/CAD specialist OPEN MIND received a number of detailed inquiries and enjoyed a great deal of positive feedback on presentations held at its exhibition booth at the International Manufacturing Technology Show in Chicago. 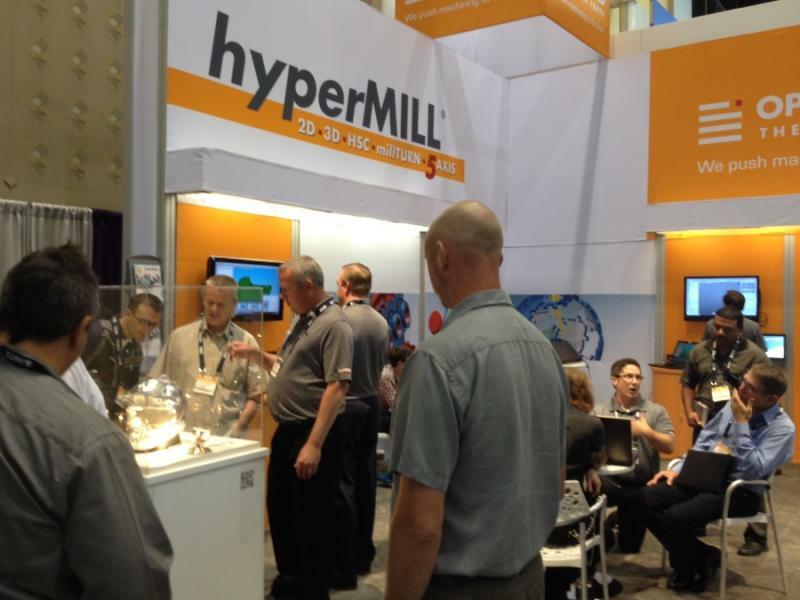 Over the six days at a trade show, over 40% more interested parties took advantage of the opportunity to view the hyperMILL® CAM solutions than two years ago. Over 114,000 visitors attended the event, and the Association for Manufacturing Technology (AMT), the organiser of IMTS, announced that it was one of the most successful trade fairs in recent years. OPEN MIND confirms this success. “This year’s IMTS was our most successful one in the past ten years. We received a lot of detailed inquiries. 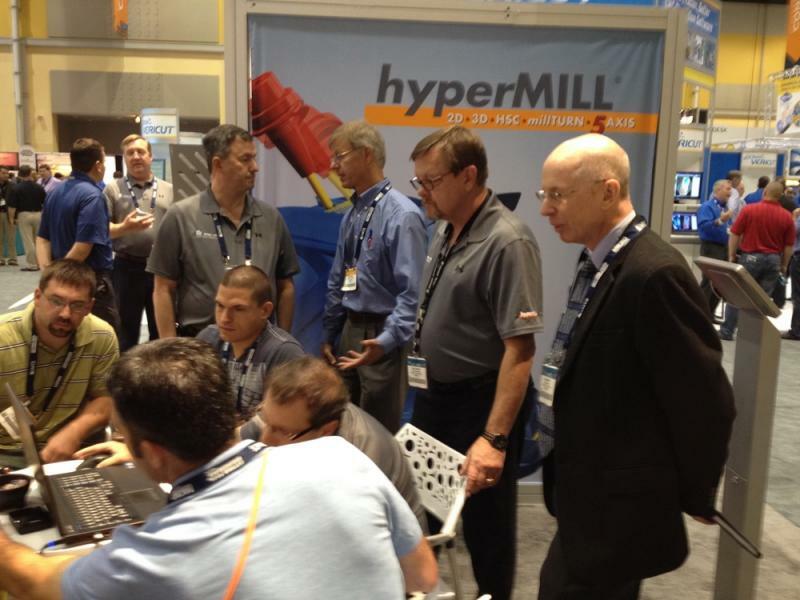 Many visitors asked about how it’s possible to increase productivity using hyperMILL®,” says Alan Levine, Managing Director of OPEN MIND USA. The strong partnerships with different machine and tool manufacturers also paid off. Many visitors stopped by at the OPEN MIND booth after viewing live processing demonstrations on a CNC machine. 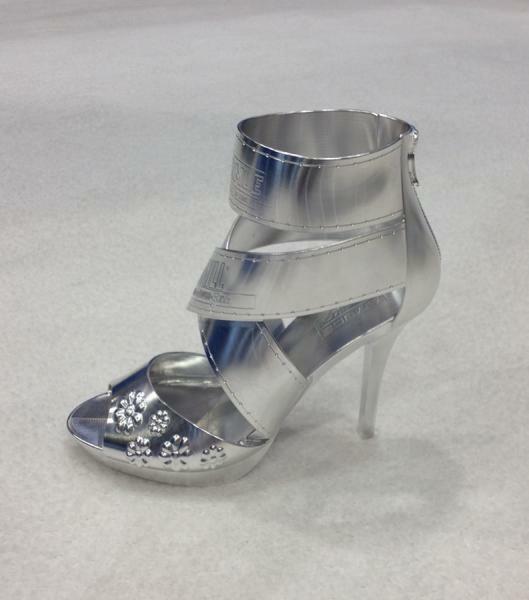 At Hermle, a woman’s high heel shoe was milled from solid stock on a C32U machining centre. This shoe proved to be a special attraction at the OPEN MIND booth. 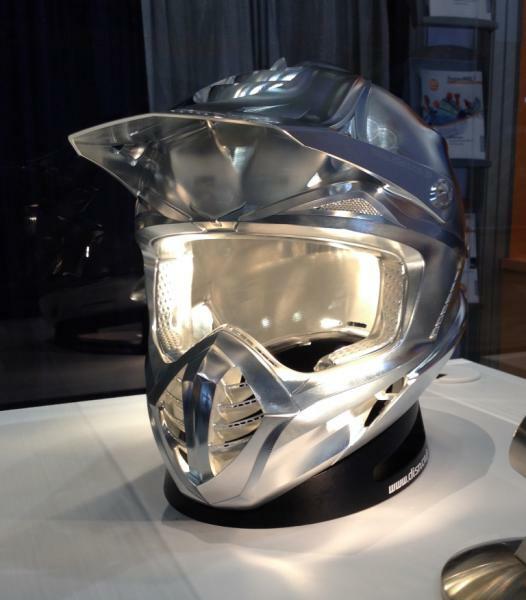 Like at many other global trade fairs, a motorcross helmet attracted the attention of visitors. And OPEN MIND also displayed the recently developed Puzzle Ball. The positive atmosphere on the market is reflected in the inquiries and demonstrations of the new features of the CAM/CAD hyperMILL® solution. The extensions in hyperCAD®-S were particularly interesting. The ‘Deformation’ module now offers the option to deform geometries in a targeted manner. This powerful tool allows the modification of component areas, which is otherwise only possible with elaborate modelling techniques.